Herbert (Whit) Whitfield born October 6, 1943, in Amarillo, TX to Herbert and Ruby Whitfield. He passed at home on Wednesday, March 27, 2019, surrounded by his family and close friends. He was preceded in death by is parents, two sisters, and one brother. Whit was survived by his wife, Donna Whitfield of Carlsbad, NM; daughter, Rhonda Kay Trotter and husband, Jay of Carlsbad, NM; daughter, Sonya Greer and fiancé, Randy Kirkes of Carlsbad, NM; granddaughters Ashley Trotter and Shelli Greer of Carlsbad, NM; grandsons, Shane Wright and Cody Greer of Carlsbad, NM; and sister, Mary Hill and husband, Charles of Missouri. Whit retired from IMC in 2006. 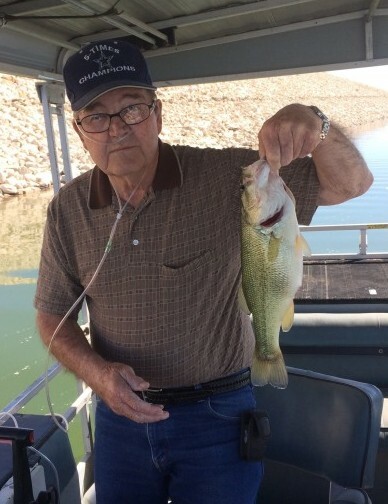 He enjoyed going to the Senior Citizen Center every day to spending time with his buddies, going to the beach to feed the ducks with his granddaughter Ashley, and going fishing with his son-in-law Jay and grandson Cody.